HTC and Verizon Wireless have officially announced the upcoming launch of cool new 4G LTE HTC Rezound Android-powered handset, which the companies claim as the only smartphone in the United States to integrate Beats Audio technology. Complemented with Mobile High Definition Link (MHL) connectivity and an included advanced Beats headphones that feature on-cable remote to let users enjoy their favorite music immensely. 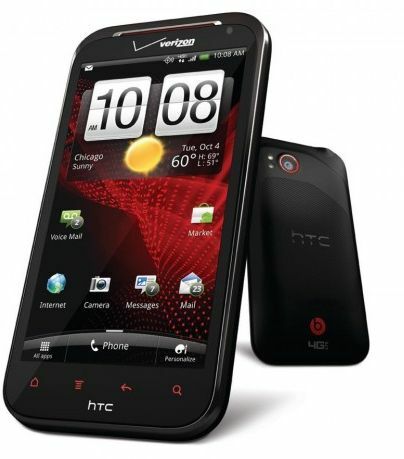 HTC Rezound is initially based on Google Android 2.3 Gingerbread operating system. Anyway, for those who like to taste the latest Android OS on the Rezound phone, HTC has promised to roll out Google Android 4.0 (Ice Cream Sandwich) upgrade by early next year to deliver noticeably different user experience. The new high-end HTC Rezound smartphone looks very sturdy and solid, and its 720p true HD display also works well for animation, picture with its super-high resolution and brilliant color, seems like the true iPhone 4S rival! HTC Rezound which comes bundled with a stylish new, lightweight Beats headset and an 16GB microSD memory card is slated to be available through Verizon Wireless and Best Buy starting November 14 for $299.99, based on a new 2-year service agreement. Watch the promo video of new groundbreaking HTC Rezound smartphone at below!